Jypyä Pop (Turku, Finland) on 2 February 2019 in Miscellaneous. February started in winter. I picked up the picture on Friday morning at 5.30 am when I was picking up a newspaper mailbox. Who Remember Oiva. She sent best regards and fine February. This lights looks so warm and comfortable above the cold snow carpet. Very nice picture. @Ralf Kesper: Thank you. It was awesome weather. Brrr looks cold but beautiful. Looks a good day to stay indoors ! @Ronnie 2¢: It was not too cold to be outdoor. But of course warm room is great thing. Très belle ambiance ! Belles lumières ! Merci. Great winter atmosphere . And thank you for the greetings of Oiva . Tell Oiva I wish her well and miss her. This is a cold winter scene with a lot of snow. @Ruthiebear: Thank you. I tell her. Never seen so much. There was 2 cm in my garden this morning and now it is gone. 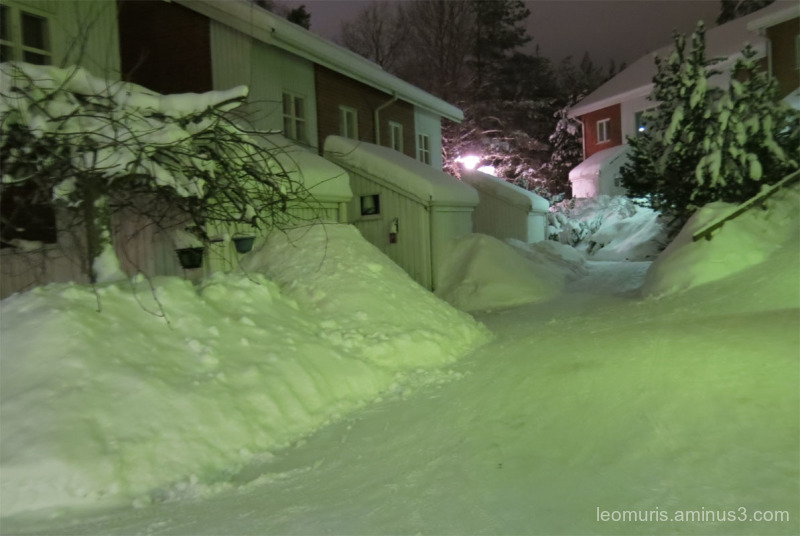 @Claudiel: This is normal winter in Finland. Lots od snow now! Stay warm. @Steve Rice: Thank you. Now is not very cold. It looks cold and quiet this early winter morning with no one about except you. Il faut être matinal pour avoir cette superbe couleur citronnée !